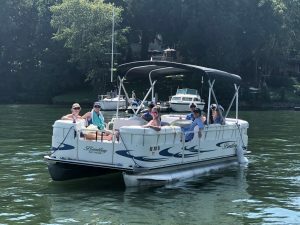 Grab your friends and family and go cruising on beautiful Lake Norman in a pontoon boat. 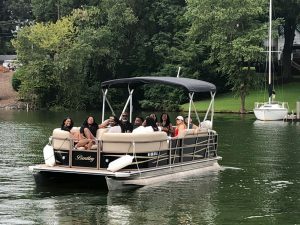 Jump off for a refreshing swim in a cove, enjoy a nice meal at one of Lake Norman’s lakeside restaurants, pull tubers or skiers, or view the amazing homes along the 520 miles of shoreline. 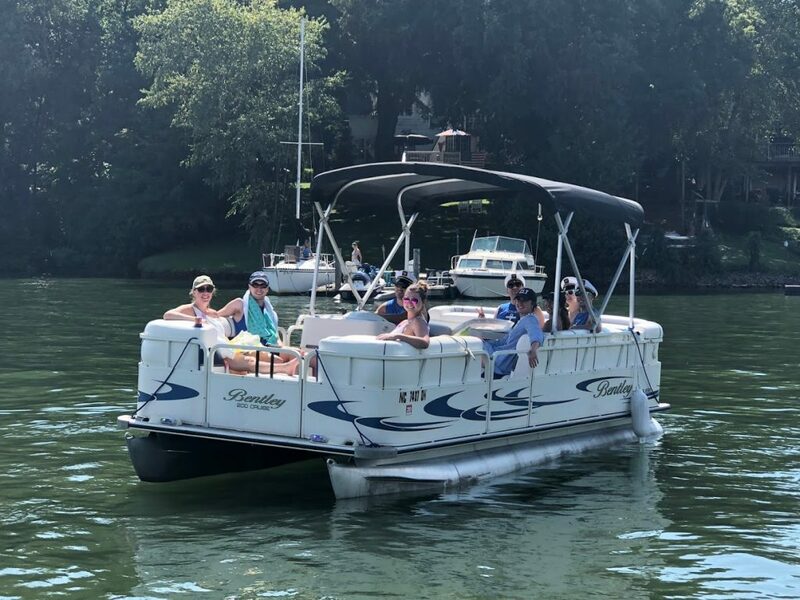 We also offer Rental Captains to drive the boat for you ($30-$50/hr), so you can enjoy the lake worry-free–subject to availability, email us at info@whatsuplakenorman.com to inquire! Our white-glove service is second-to-none! 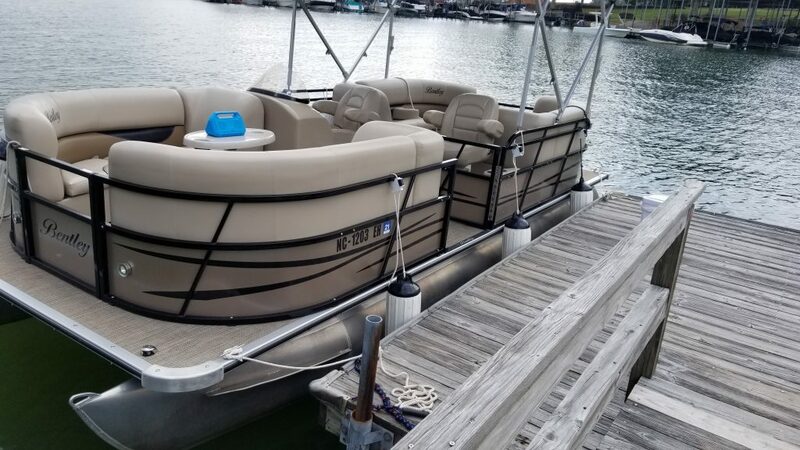 You can view real-time availability and book your boat rental on our website 24/7. Have questions or prefer to book over the phone? Call us at anytime from 9:30am-7pm at 704-931-8787. You can also use our Online Chat to instant message/text with us live. All reservations must be made in advance! We send you all the details you need ahead of time, so you can just show up & go! Our pontoon boats are 20′-22′ long and fit up to 10-14 people with varying weight limits depending on the boat. 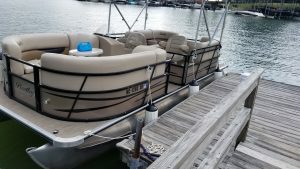 Boat horsepower ranges from 50hp-220hp depending on the boat. We provide operation & safety instruction, life jackets, maps, recommendations of where to go, waterproof cell phone cases ($7), dry bags, and everything else you need! 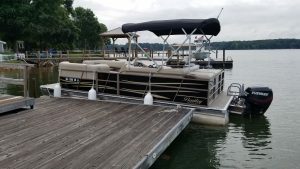 Our Lake Norman launch location is at Long Island Marina in Catawba, NC. Perfect for funding a quiet area to tube/ski; close to restaurants. Easily accessible from Charlotte, Hickory, Statesville, Greensboro, Winston-Salem, and the entire Lake Norman area. We offer 4-hour and 8-hour rentals (10am-2pm; 3pm-7pm | 10am-6pm). We offer limited 2-hour rentals Monday-Thursday. You must Call Us or use the Online Chat to reserve. Half of rental fee is due when boat is reserved. Other half due by day of rental. 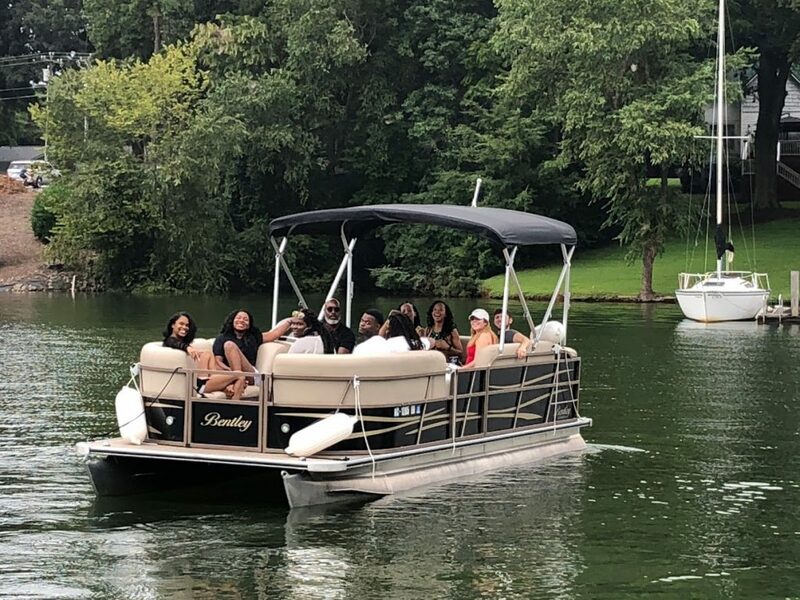 Gas is not included in the boat rental price. We provide you with a full tank and ask you return it with a full tank. We’ll show you where you can fill up. We offer Rental Captains to drive the boat for you, so you can enjoy the lake worry-free. Cost is $20/hr. Subject to availability. Email us at info@whatsuplakenorman.com to inquire. Red liquids not recommended–red wine, red fruit punch, etc. Pulling tubes, skiers, etc. is allowed but not on 50 HP boats. Bring your own, or you can rent a tube from us for $35. 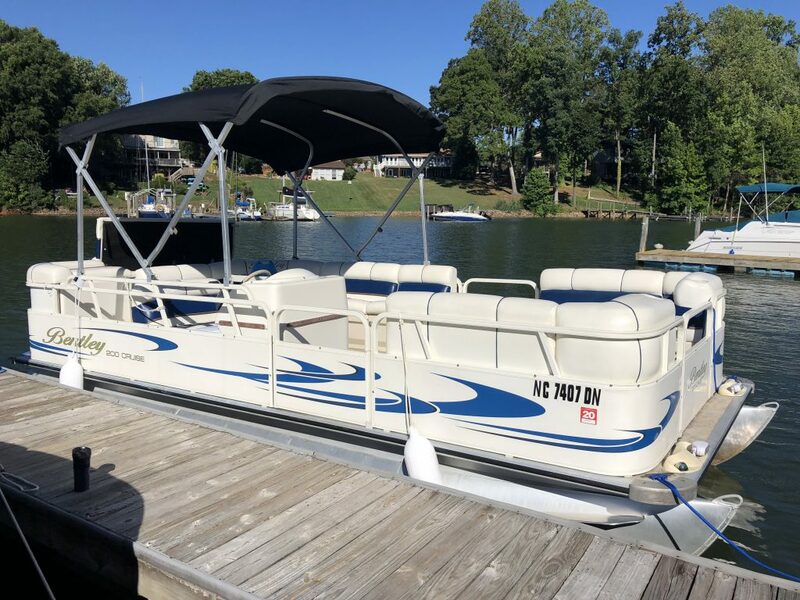 Taking the vessel to the Lake Norman Sandbar area near lake marker D4 is not allowed. You cannot tie up to any other vessel. Feel free to bring floats, noodles, etc. Everyone under 13-years-old must wear a life jacket at all times while on/off boat. We reserve the right to change your reservation to a comparable boat. 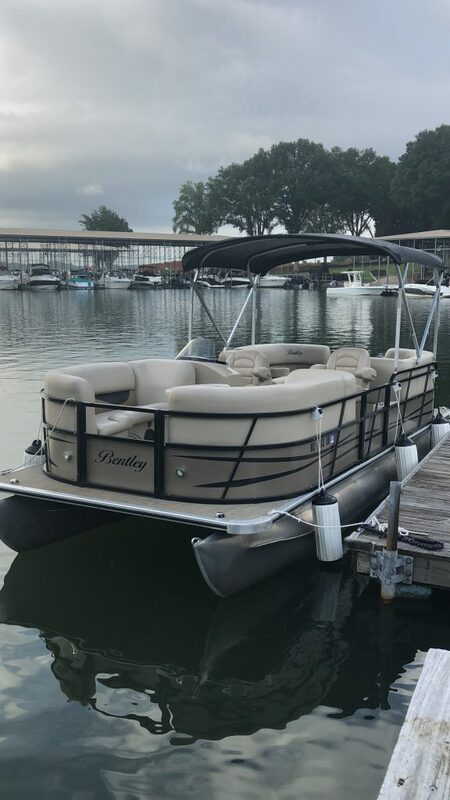 Our Bentley Cruise 200 is our only dog-friendly boat for dogs up to 40 lbs. Must Reserve in advance. No walk-ups. Seats 10-14. People and gear can’t exceed 2,280 lbs. 115 HP Evinrude E-TEC engine. 22′ long. Brand New luxury cruiser. Our most spacious floor plan with two swiveling captains chairs! Includes Bluetooth stereo with AM/FM/AUX. Seagrass flooring. 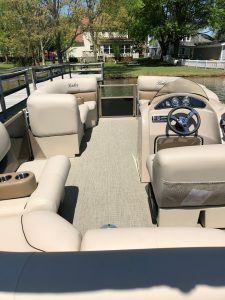 Bimini top for shade. Rear ladder. Depth finder. Beige exterior with black accents. Beige interior. Dogs not allowed. Pulling tubers, skiers, etc. is allowed. We rent tubes for $35. Must Call Us or use Online Chat to reserve a 2-hr rental. Bench seating throughout. Includes Bluetooth stereo with AM/FM/AUX. Seagrass flooring. 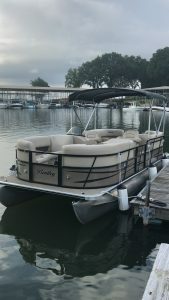 Bimini top for shade. Rear ladder. Depth finder. Black exterior with beige interior. Dogs not allowed. Pulling tubers, skiers, etc. is allowed. We rent tubes for $35. Seats 10. People and gear can’t exceed 1,900 lbs. 50 HP Mercury engine. 20′ long. Bench seating throughout. Includes Bluetooth stereo with AM/FM/AUX. 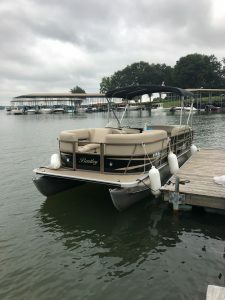 Bimini top for shade. White exterior with white/blue interior. Dogs are allowed. Pulling tubers, skiers, etc. is NOT allowed. Seats 8. People and gear can’t exceed 1,200 lbs. 4.3 MPI, 220 HP Mercruiser I/O engine. 19′ long. Ski boat. Includes Bluetooth stereo with AM/FM/AUX. Bimini top for shade. Red Exterior with beige/white interior . Dogs are not allowed. Perfect for pulling tubers, water skiers, zupers, and wakeboards. We rent tubes for $35.